At Mound Time, success is measured by the growth of each individual player and by the success of our prep teams in competition. Mound Time had another record year with many achievements. Most notably, the 14U Prep team won 3 National Events (Reno World Series, Omaha World Series, and Las Vegas Desert Classic) and one Pac NW Event. Mound Time announces its college bound players from the last 10 years and was happy to recognize 150 players as players who came through Mound Time program and went on to play college ball. Seeking a greater national profile and searching for better competition, Mound Time takes all programs exclusively to Nations Baseball. 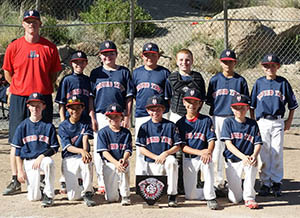 13U wins the Nations West Coast World Series in Manteca, California, while 12U takes 2nd. All five teams finish the season ranked #1 in NW Nations points rankings (includes Oregon, Washington and Idaho). Teams compiled a winning percentage of over .800 collectively, facing the toughest competition in the Northwest. Our 12U team finished ranked #3 in the country and our 13U team finished 4th in the entire nation. MT's 18U team finished as the top team in the state, winning the 22-team tourney to cap the 2014 summer. Mound Time's last official year as a part of Babe Ruth. 13U and 14U storm through State and Regionals to the Babe Ruth World Series. 14U finishes 2nd in the nation. 10U, 11U and 12U lead the Northwest in Nations Baseball points, with 12U posting MT's highest single season winning percentage (55-7, .880). 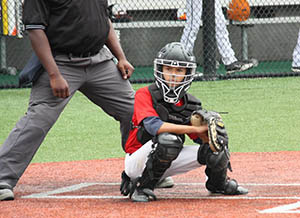 Mound Time continues to assert its dominance, winning Cal Ripken and Babe Ruth State Titles at 10U, 11U, 12U60, 12U70, 13U and 14U. Teams were so dominant, officials chose to double check all birth certificates to verify age (all were in fact of age). Mound Time chooses to leave Cal Ripken baseball and begin competing nationally as part of Nations Baseball, America's premier baseball organization. 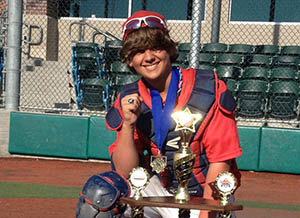 At 12U, Mound Time knocks off perennial Cal Ripken State Champion West Linn by a score of 16-1 in the 12U state finals. MT's 14U sweeps through state and regionals on their way to winning the Babe Ruth World Series in Glen Allen Virginia. The National champions were met at the airport by TV cameras and reporters, marking Oregon's first national youth championship in years. Mound Time wins the 13U, 14U and 18U Babe Ruth State Titles. Teams go a combined 17-1 at State, giving MT its sixth state title. Mound Time wins the 13U and 14U Babe Ruth State Titles. The two teams go a combined 12-0 at State, giving MT its 3rd State Championship. The 14U team finished 3rd at regionals, knocking on the door of the Babe Ruth World Series. Mound Time's inaugural prep team season. As a member of Babe Ruth, Mound Time knocks off State Playoff favorite Pendleton and wins Mound Time's first ever state championship.